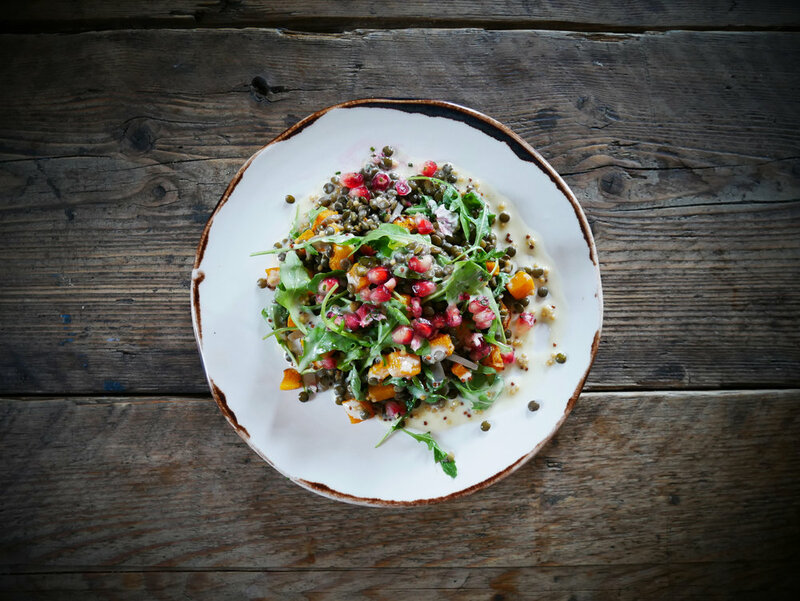 Somers Town coffee house meeting rooms index — YUMMY PUBs. Boasting five unique rooms hosting groups from 2 - 50 we can offer a fantastic experience day or night in central London. Looking for a fun, yet professional meeting space in central London? Well, look no further, we have the perfect solution & it’s located above a fantastic pub! Hidden through the bookcase at the back of the pub our Ssshh meeting rooms add some fun & colour to your day. 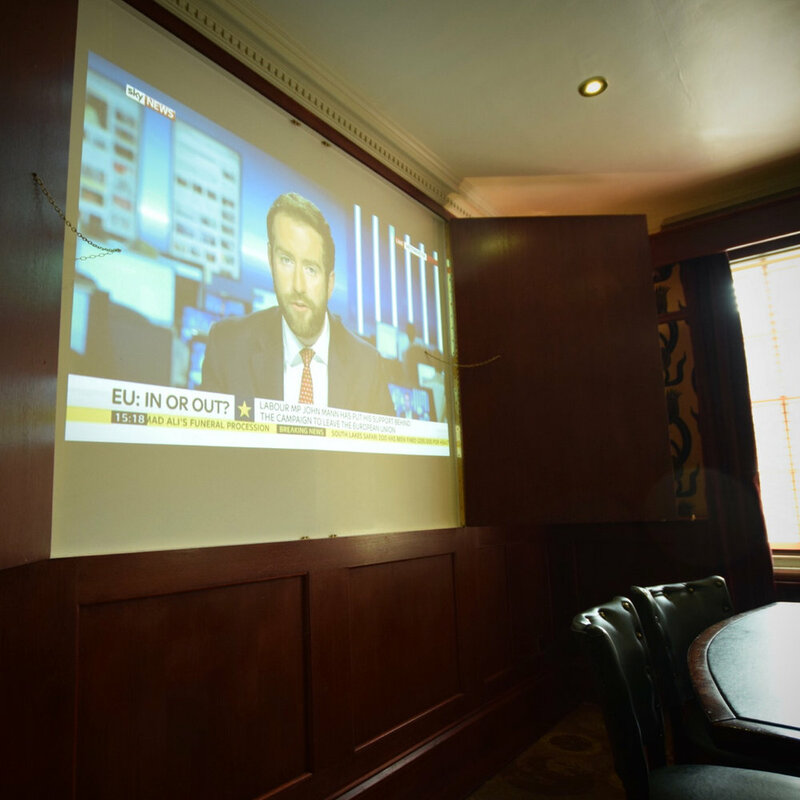 Located on the first floor of the pub they offer a welcome escape to the hustle & bustle of the London streets, individually designed to add some character to your meetings, amazingly located directly between the international stations of St Pancras International & London Euston. Fully fitted with projectors, flip charts, digital order tablets for undisturbed meeting refreshments. Call or email for full rate cards & details of availability. 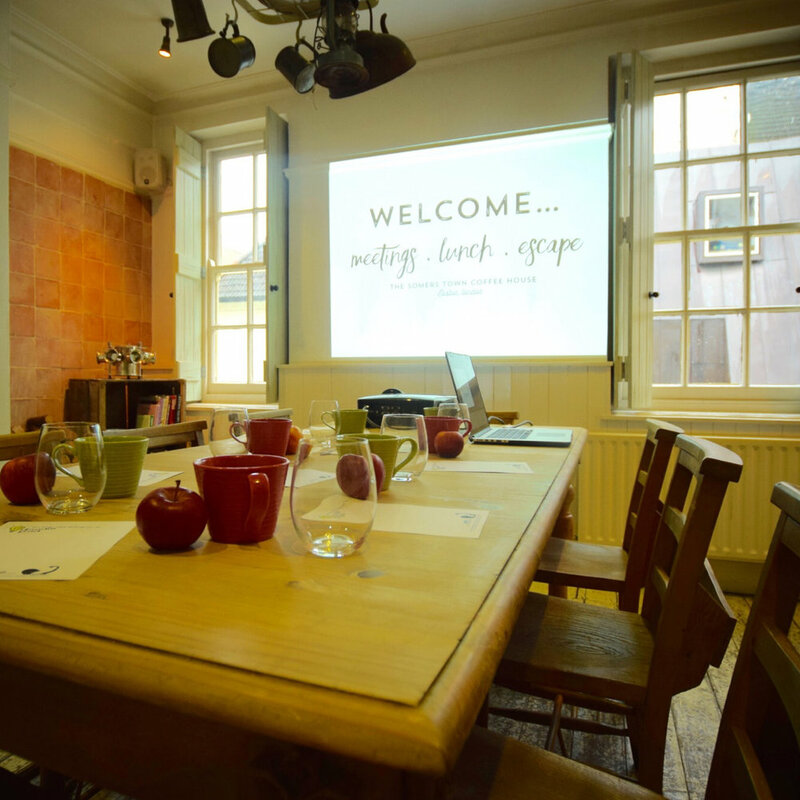 The Boardroom is our wooden panelled executive room at the front of the pub benefiting from two large traditional sash windows, it’s a bright & powerful room. Seating up to14 guests around the large (former Gillette UK board) leather table it makes a fab space for company presentations, discussions, debates & more! 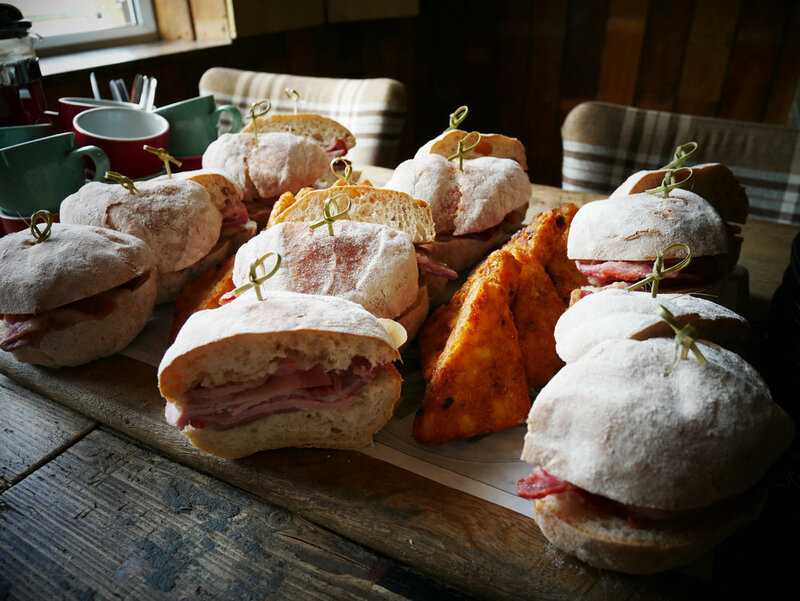 Available to hire from 8am Monday - Friday & 10am on weekends we can arrange our brand new platter boards click here to see the menu to greet your delegates to kick start your day in style. We can keep you refreshed all day with a fantastic coffee & tea offer, soft drinks, fruit & naughty snacks, all of which can be pre-ordered & planned before your meeting so you can concentrate on the day in hand. The room is fitted with an order tablet so you can order anything throughout the day without the need to disturb the flow of your meeting. The Kitchen room is a bright, country kitchen designed room. When we created the private rooms we thought it would be a fab idea to have a room where our chefs could be working as well as customers meeting / dining & that’s what we created (Although most people prefer for the chefs to not be working whilst they hire the room as a meeting room & that’s just fine, we keep the chefs away). Our creative & fun room, the garden room is bright & colourful. Set with Victorian cast iron furniture, a fake grass floor & sunset lit ceiling it’s a fab room for your meeting. The Club room the largest room on the 1st floor sitting at the front of the pub benefiting from two large traditional sash windows, it’s a bright & powerful room. Seating up to18 guests in a rectangle or U shaped seating its fab for company presentations, discussions, debates & more! Tucked underneath The Somers Town is our speakeasy club, Cosy. Initially designed to capture the night life of the area it has since adapted as a great space for product launches, team briefings, larger meetings & presentations.